Returning to New York Fashion Week for another season since making their mark in February is U.K. based Oxford Fashion Studio. Bringing a talented group of up and coming designers to showcase their new collections on the NYFW stage. This Spring/Summer 2019 season taking over the galleries a the iconic and well known Pier 59 Studios just across the West Side Highway and overlooking the shores of the mighty Hudson River. Showing in 3 separate time slots through out the day, we take a look now at the second set of the day featuring a total of 4 up and coming designers to debut their unique Spring/Summer 2019 runway collections. The first designer to show at the second Collection Show was Caroline Perino, who showcased a mixed couture collection of unique eclectic pieces that were only really suitable for a strange cocktail party. 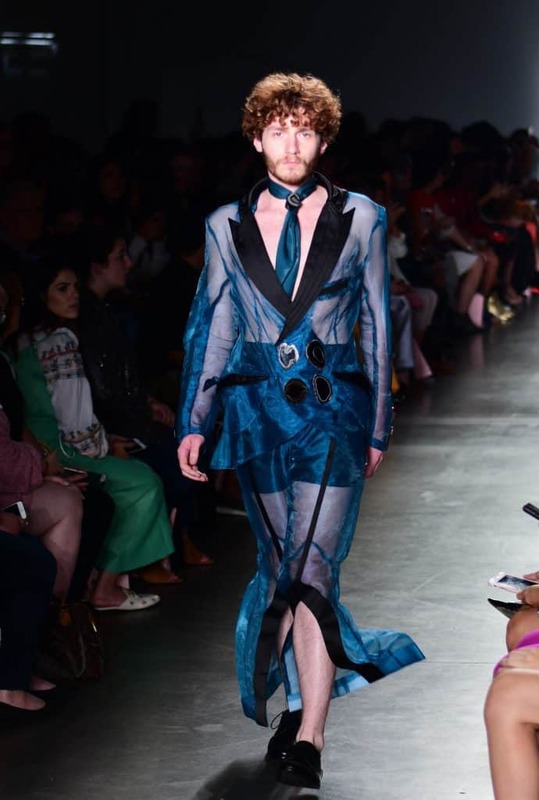 This collection was too obnoxious for my taste, but I appreciated the body positivity message that was present in the range of models walking the runway which featured a few men and women of average height and build. The Atalanka jewelry collection by designer Ashley Jean Stephens was a simple understated line, great for the minimalist fashionista. With delicate geometric pieces of jewelry, these are best paired with outfits in solid colors so as not to get lost in patterns or maximalist style, as shown during the fashion show. Far from showy statement pieces, this jewelry line is a great stepping stone for a budding jewelry enthusiast who appreciates subtle glamour. C’EST D. was a refreshing take on chic pastel, and the pieces made me prematurely excited for spring. 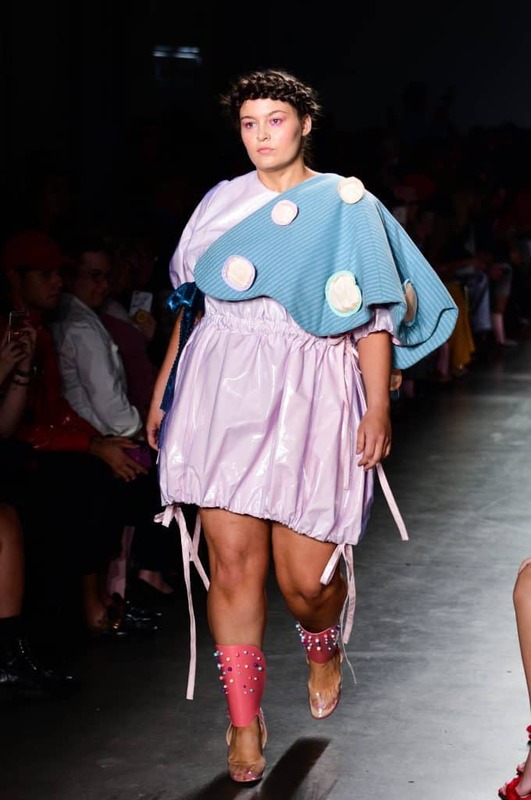 The collection was called FATOPIA – The celebration of flesh, and I appreciated it for being unapologetically feminine and body positive, one of the main goals of the brand, which really showed with the diverse body types of the models. 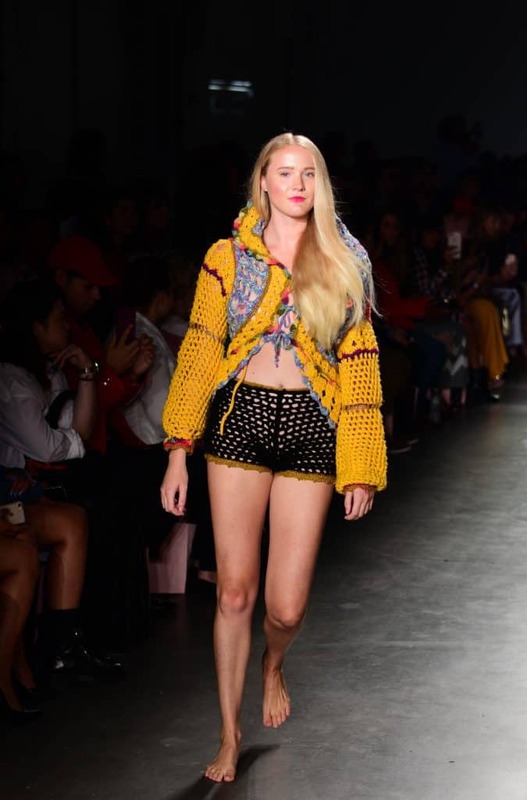 I couldn’t help but smile at this collection, the design and the colors simply made me happy when I saw it on the runway because it was a perfect combination of two of my favorite style elements, comfortable (at least it appeared to be) and interesting. 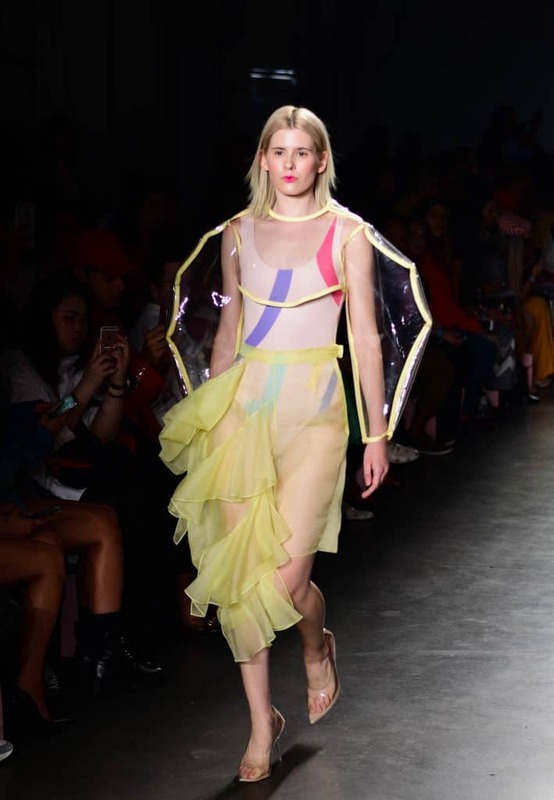 Splash by Victoria Tisza was a sight to behold on the runway, with some pieces stunning me into shocked silence as silicone rubber bounced and waved on bodies sashaying down the runway. I can admire the shapes and silhouettes of the designs and the utility (the collection is waterproof and based in swimwear) but I don’t see how they might translate to being wearable in real life. 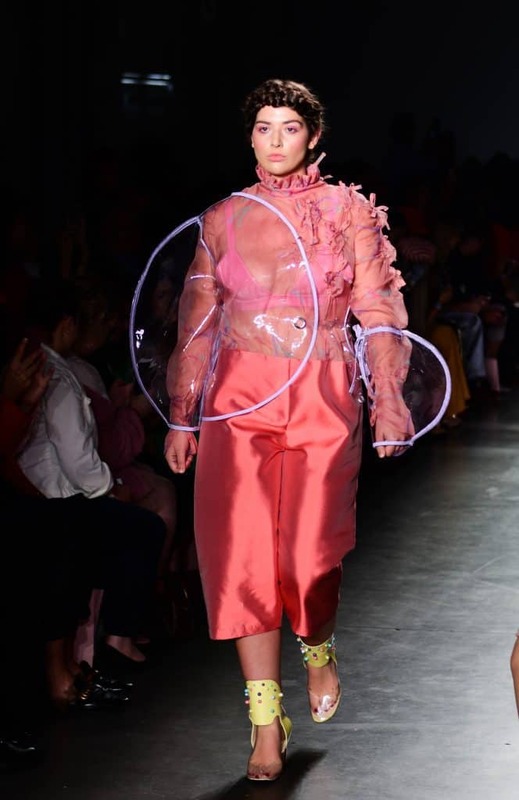 Being the insulating material that it is, the silicone made some models visibly sweat and the designs seem fit for runway models exclusively, with little to no room for an average body to wear the pieces. 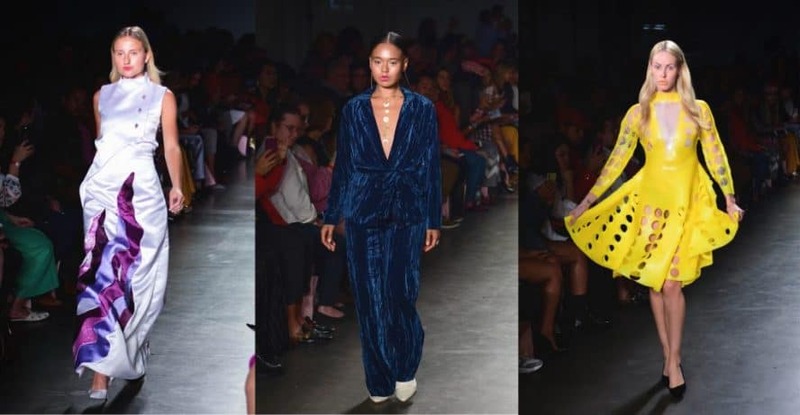 Wrapping up the 2pm show of designers, Oxford Fashion Studios takes New York Fashion Week by storm for yet another season. 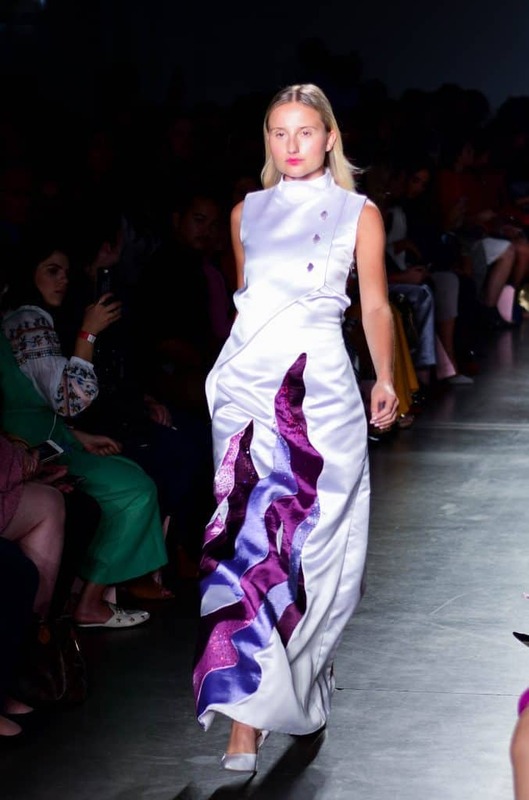 Brought to NYC by our good friends at The Riviere Agency, Oxford Fashion Studios is always a show to make sure to never miss. With a growing audience here in New York City this organization is sure to continue to grow across the globe as a staple in the ever changing Fashion Industry.